STEAM education is a core part of the elementary Culinary Arts experience. Elementary scholars grow up learning that God has created for them an immense variety of foods. We start in the garden, learning about plants and how we eat them in a nearly endless number of ways. Children discover how their taste buds work: how to identify flavors and textures, and how to appreciate unfamiliar foods. They learn to use culinary measurements, study photosynthesis, and apply basic nutrition. They employ skills like packing lunch or helping with family meals, which are all included in their lessons. Sixth, seventh and eighth grade scholars can choose Culinary Arts as an elective course. They are immediately immersed in the workings of a commercial kitchen through an introduction to food safety, commercial and home equipment identification, learning to read and write recipes logically. They discover the power of taste and flavor by comparing home-made to processed foods. Scholars experience the whole process of planning, prepping, practicing techniques, cooking, tasting and clean-up. They experience labs like cooking eggs, measuring and baking, preparing grains and vegetables, and cutting/knife skills. They prepare treats for special OSOTA events like Honor Roll. Scholars begin the course earning their Food Safety Certificate, and are trained in CPR/AED, and First Aid. This is a CTE (Career and Technical Education) classroom learning and lab course of study designed for scholars pursuing a college and employment path. Scholars begin the course earning their Food Safety Certificate, and are trained in CPR/AED, and First Aid. They practice knife skills, and handling produce, meats, and eggs in a myriad of applications. They make fresh pasta, handle cheeses, learn the art of presentation, and develop balanced tasting techniques. Scholars study nutrition, food science, gastronomy as part of culture and economics, as well as an introduction to molecular gastronomy. High School Scholars in the Culinary Arts program can be hired to run the operation at every level under the direction of Mrs. Romaniello. 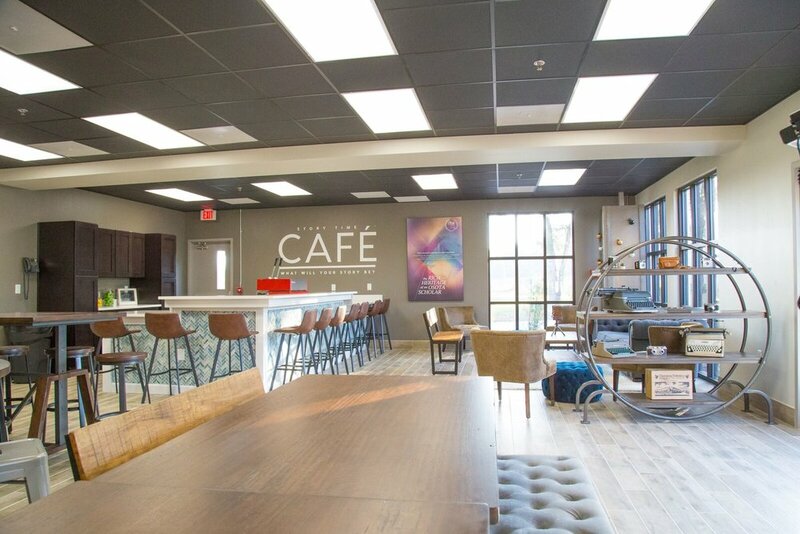 This is real-life learning and discipleship; education and ministry are given hands-on expression in our specialized cafe.